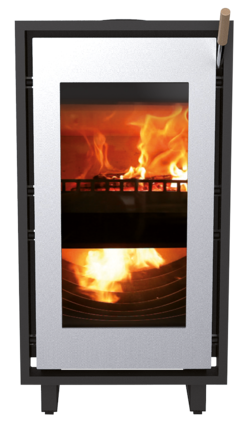 The firebox insert xeoos® MAGNA you can dress up to your taste. The MAGNA can even installed in existing systems. A mounting frame and an optional glare frame help for the installation. The xeoos MAGNA is available as a chimney insert according to EN 13229.